Sell your car or truck within an hour! We will tow your junk car for free and give you cash! 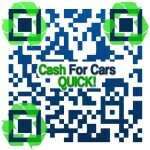 Cash For Cars Quick Corp. wants you to use their service When you are in need cash for your car or truck. There are many places you can sell your vehicle for some fast cash, the best place, is selling your car to Cash For Cars Quick. Do you have a car or truck that you think is junk and not worth any money? Or don’t want the hassle of strangers coming to your home or work to try to sell your car or truck. Or even a car rusted out and just taking up space on your property, call us and you can get our cash for cars service today. Our cash for cars company specializes in taking these types of unwanted motor vehicles from you and offer free towing . CashForCarsQuick.com recycles cars every day, we come tow your junk car, crush and melt it to be reused in the form of cars, steel for many uses, steel form cars can be used for a variety of daily products. This recycling process is not only environmentally beneficial but can also keep the price of raw materials for cars and other steel products lower because of the reuse and recycling so – call Cash For Cars Quick today. If you are looking for a cash for junk cars service because you are looking to get the most cash for your car. If you have a broken down car that’s not in good condition or not running , it can be difficult to sell, especially if it doesn’t run properly so call Cash For Cars Quick today and get the most money for your car. The first step to getting as much money as possible from a junk car service is to call our cash for cars hotline, you can also check into how much it will cost to get your vehicle running and working properly. A experienced mechanic can help with this estimation and you can determine if its worth fixing. On the other hand, if the car needs an unknown amount of work and still may not be worth very much, it’s probably not worth dumping more money into the car. It is also illegal to just dump your car on the side of the road especially when you can get paid for your car. So call Cash For Cars Quick today and get fast cash for junk cars by selling them to our Cash For Cars service. Selling your car can be beneficial for the environment, also even more beneficial to consumers. If you have a car that is run down and is no long in working condition you can get cash for your car in sometimes less than an hour. The amount you can get for selling your junk car is based on the year of the car the make and the model, but it generally ranges from $150 to $600. Some of the bigger heavier cars or trucks like SUV’s can get you more money based on steel prices. In most cases your vehicle gets towed within 24 hours but we try to schedule same day pick-ups, so call Cash For Cars Quick today. The best part of the whole process is you can get rid of your old junk car without it costing you anything and doing something good for the environment so call Cash For Cars service today. Cash For Cars Quick is ready to pick up your junk vehicle every day, 7 days a week mornings and evenings sp call and get an instant quote over the phone to see how much cash your car is worth. We pick-up all cars and trucks – running or not! We take pride in our hassle-free cash for cars service and we are certain you will appreciate it too. Don’t wait, contact us today, and get our cash for cars service as soon as possible. We will do our best to make sure you get the most cash for your junk car. Cash For Cars Quick will transport your vehicle to a junkyard or recycling company for salvaging. Cash For Cars Quick offers free junk car removal services for your junk car at your home or office. Contact Cash For Cars Quick right away to get paid today why would you go with another company that could take up to 48 hours to get your money, when Cash For Cars Quick can be there fast for junk car removal, sometimes we can be there with in the hour. Because selling your car to us has never been easier with same day pick-up if you are considering selling your junk car – call Cash For Cars Quick. Whether your junk car is running or not, let CashForCarsQuick.com buy your unwanted vehicle and get it out of your hair and out of the way, and convert it into cash for you! If you need to get cash for any car fast, call our cash for cars hotline today. Cash For Cars Quick Corp. will Tow it for free, show up on time, and cash based on the year, make and model and a small description of what’s wrong with your junk car, and within seconds we can quote you with the highest money & receive the highest $CASH$ possible paid for your junk car. We pay the most cash possible for your all cars. Call Cash For Cars Quick removal specialists to receive your highest price possible for your junk car or truck and get fast removal with guaranteed pricing, free towing & Get money, call Cash For Cars Quick’s removal service now! Cash for cars Quick is the car removal business that provides on time drivers, a professional appearance and always with Honesty and integrity! We specialize in buying junk cars,wrecked cars, vans, trucks, and Suvs; we pay cash for all years, makes, and models in any condition, running or not even wrecked cars. We pride ourselves on providing the highest $CASH$ paid possible for your car. We always offer Guaranteed Pricing, Fast pick-up with FREE Towing we pride ourselves with the highest customer satisfaction. Junking your car for cash has become easier than most think! When you call our hotline about Junking a car, van, truck, boat, or RV through our junk a car for cash service, you not only get fast cash for your car, but we deliver the best service there is and always a FREE pick-up of your vehicle at your convenience. Call us now for a quote, it only takes a few minutes, sell your junk car today to call – Cash For Cars Quick Corp.